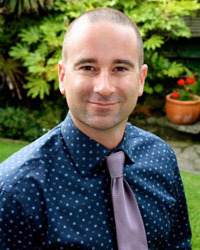 John has been practicing as a Chiropractor for over 15 years, working in varied practices throughout New Zealand and again in Ireland. He initially qualified with a Bachelor of Science in physiology from Otago University before specifically applying his health sciences passion into the study of chiropractic. It was in Auckland that John completed his Chiropractic degree from the New Zealand College of Chiropractic, a college that is known world over in the profession for its focus on wellbeing, its vitalistic approach to health, and its world-leading neurology research centre that validates the amazing benefits that chiropractic offers in addressing the human nervous system. Initially, I made the mistake of linking chiropractic only to the musculoskeletal system… to helping with sporting injuries and joint rehabilitation, because that was my only experience, at that time. But now I know the truth: chiropractic can help liberate nerves suffering from interference. This release of nerve interference empowers the nervous system to work better. After completing his degree and clinic internship in Auckland, John began his professional journey working in a large multi-disciplinary practice alongside other committed health practitioners in Christchurch, under the mentorship of Dr Simon Roughan. It was at Roughan Chiropractic on Riccarton Road where John was introduced to an advanced chiropractic analysis and treatment system known as Professional Applied Kinesiology (PAK), a postgraduate discipline of chiropractic. This functional neurology and systematic joint function assessment tool was tracking the new neurology research that was coming out of worldwide institutions and powerfully validating the positive outcomes from the patients attending Roughan Chiropractic. John was captivated by this dual strategy of chiropractic manual therapies and the functional neurology that directed best care options for the patient. The new integrated health model arises naturally from this, where some patients cannot rid their chronic inflammatory condition without a key nutrient, and once this nutrient is identified and supplemented the dramatic resolution of the patient’s debilitating condition occurs. More and more of these scenarios were revealed in this clinical setting, and led John on to further study. John pursued further study through the Australasian College of Natural and Environmental Medicine (ACNEM), alongside medical doctors who are also interested in the new Integrated Health model that more communities and patients worldwide are asking for. John then went on to postgraduate studies in PAK and functional neurology achieving international practitioner certification through the Australasian College of Applied Kinesiology. John enjoyed various provincial practices and settings throughout New Zealand, working as a locum, and then a year abroad in Ireland working in a small rural town in County Cork. John returned to Christchurch to start his own successful business, BodyBalance Chiropractic, to provide quality chiropractic to the east side of the city. The eastern suburbs were hit hard by the Christchurch earthquakes and gave John firsthand knowledge of how extreme stress can take its toll on a community. Everyone in the area was deeply affected by this event and it certainly took its toll on everyone in the community. John stayed and helped those who needed it, often seeing folk whose lives had been left upside down. Everyone copes differently with trauma and stress and all needed genuine care. Since 2015 John now works alongside like-minded health practitioners at Roughan Chiropractic, to extend his range of services to his patients and to professionally benefit from collegial sharing and learning to achieve only the best quality patient outcomes. As a member of our health and wellness team John is a dedicated member in offering the best of care through chiropractic manual therapies, professional applied kinesiology (PAK), specific clinical nutrition consults, Bach flower remedies, pregnancy care and quality paediatric care. 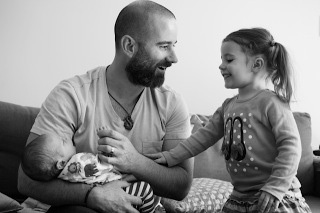 With his wife and their two children, John is proud to call Christchurch home and loves living here with his family. Outside of the office you’ll most likely find John enjoying the outdoors, at the track on his motorbike, skiing during the winter season, and enjoying time with his family.